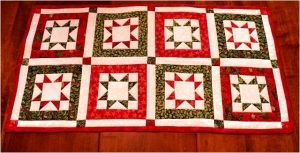 With the art of quilting getting immensely popular over the years, you can make anything by stitching pieces of fabrics together, be it a stylish handbag, decorative t-shirts or even an elegant looking table runner for your simply designed dining table. 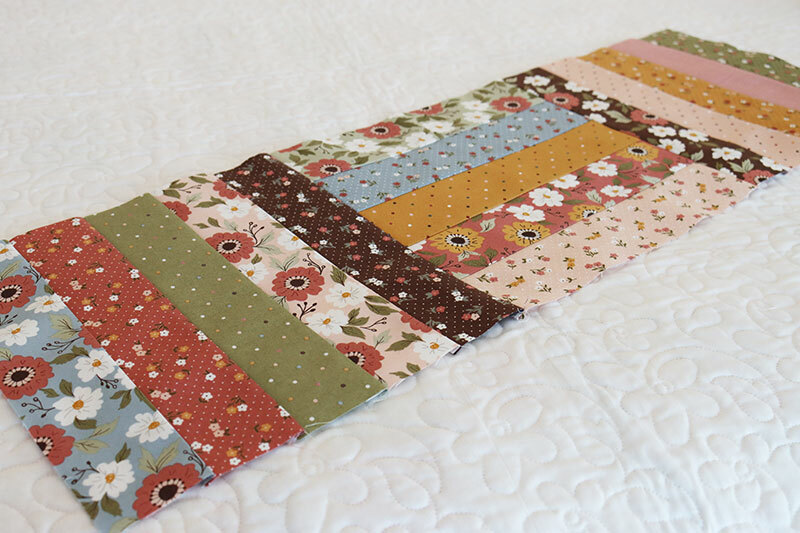 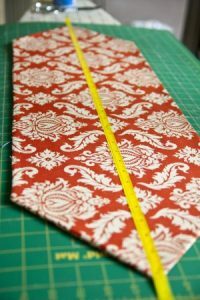 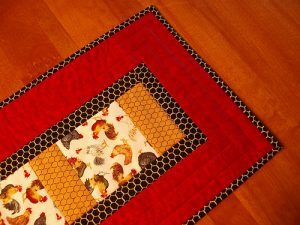 While beginners can start by using the block quilting pattern where three to five varieties of fabric may be cut and sewn together, experienced quilters may opt for complex designs. 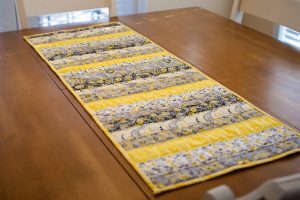 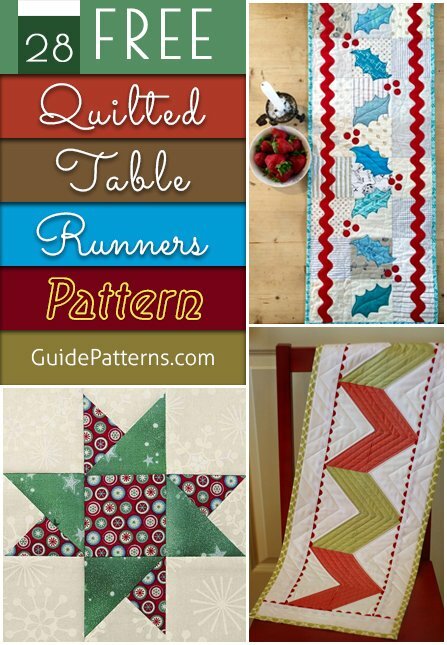 Let us take time to learn the various designs you can avail of to make a quilted table runner. If you plan to gift it to your friend on the occasion of baby shower then work on fabrics of blue and pink. 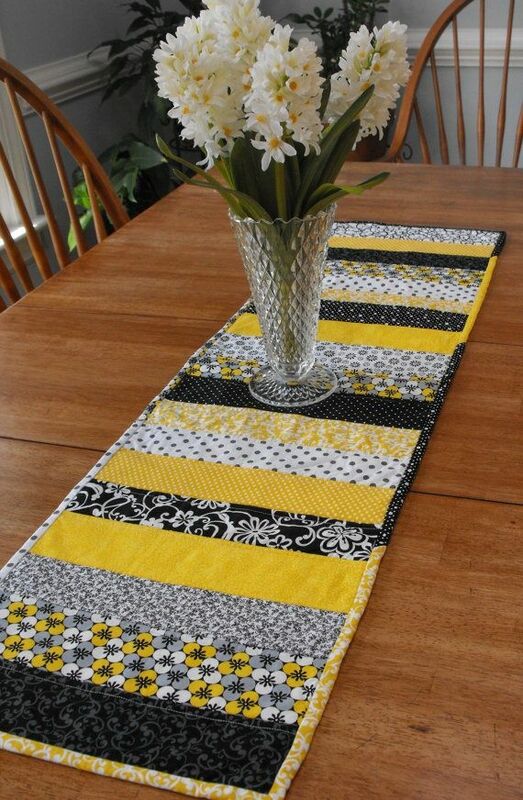 The amalgamation of colorful strips gives the table runner a unique look. 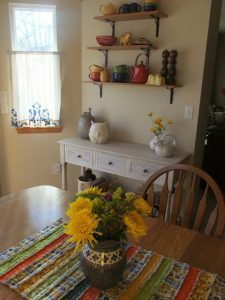 The rick rack pattern running in between gives the table runner a stunning appeal. 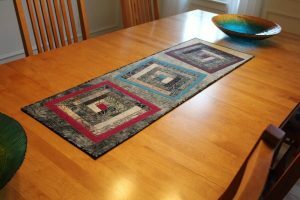 If you have a round table you can make an oval-shaped table runner. 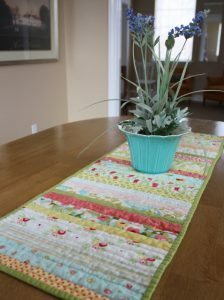 These circular placemats would complement your zigzag table runner fabulously. 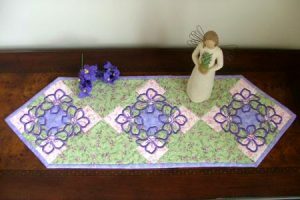 The embroidered flower wreath in the middle enhances its beauty further. With the onset of fall, this red table runner would be perfectly match the mood of the season. 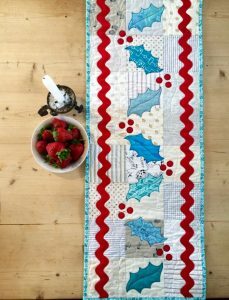 The Christmas tree and holly pattern brings in the perfect Christmas mood. 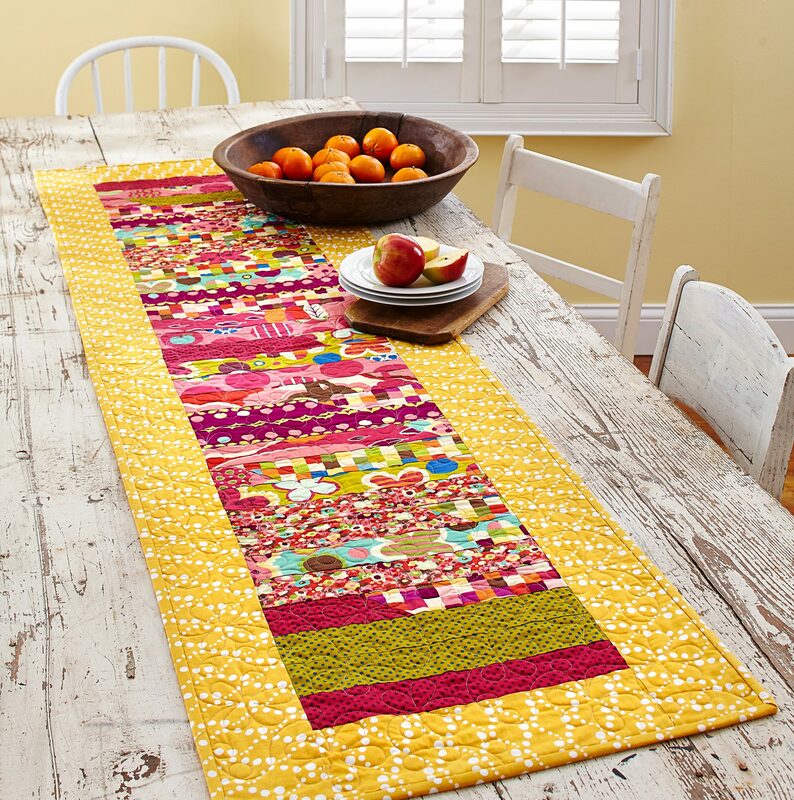 The magnificent fruit designs give this table runner a colorful appeal. 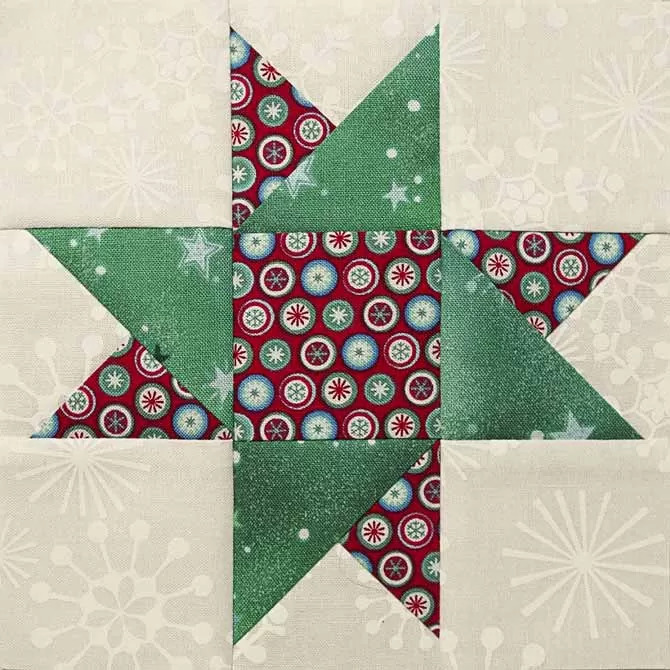 The green and red pattern as well as the star designs makes it a perfect gift choice to give your near ones during Christmas. 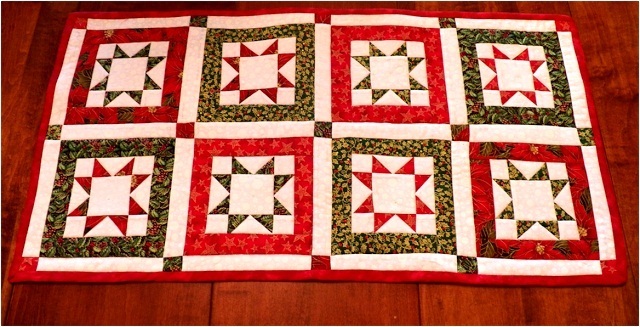 The folded design and the showy button intensify its elegance. Your guests for the Christmas dinner would look in awe at this widespread table runner across the table. 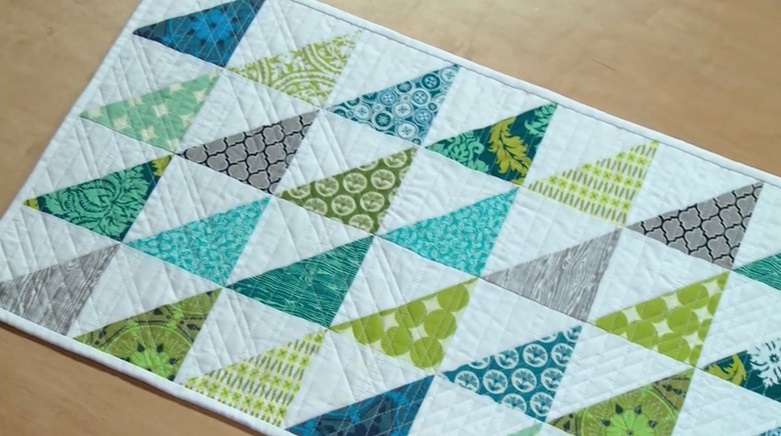 The chevron pattern created by alternately arranging the blue and white fabrics is amazing. When making one for Christmas you can try this simple design choosing red and green as the prime colors. 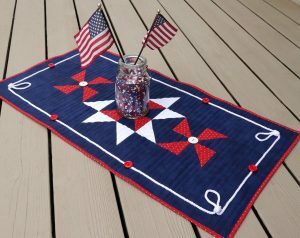 A perfect home décor for the 4th of July celebrations! 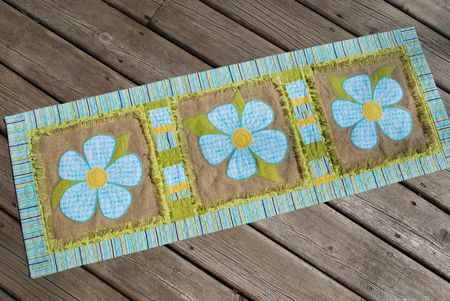 The floral motif on the table runner is an absolute decoration choice during spring time, when you want to give your home a calm and soothing look. 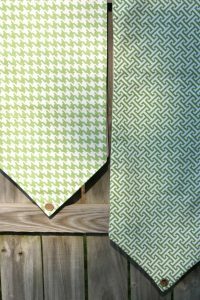 This design saves your time as you needn’t bind the edges of the quilt. 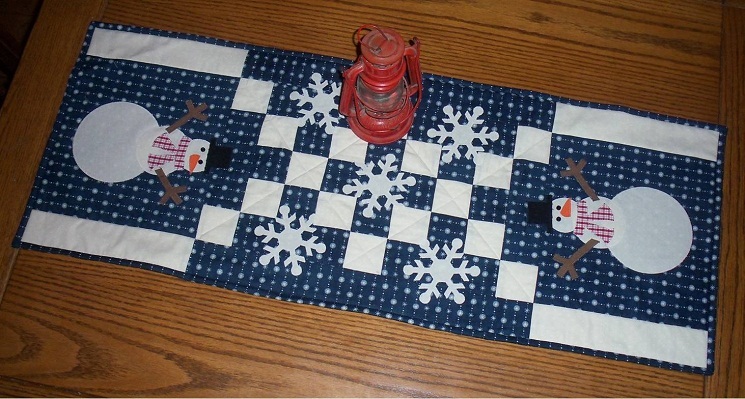 Mr. Snowman makes the checquered pattern looks even more lively. 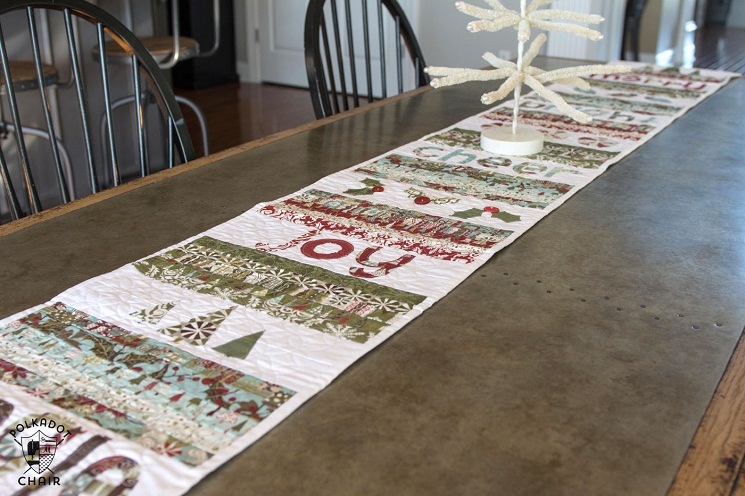 If your best pal is walking down the aisle during the holiday season, this would be a perfect wedding gift. 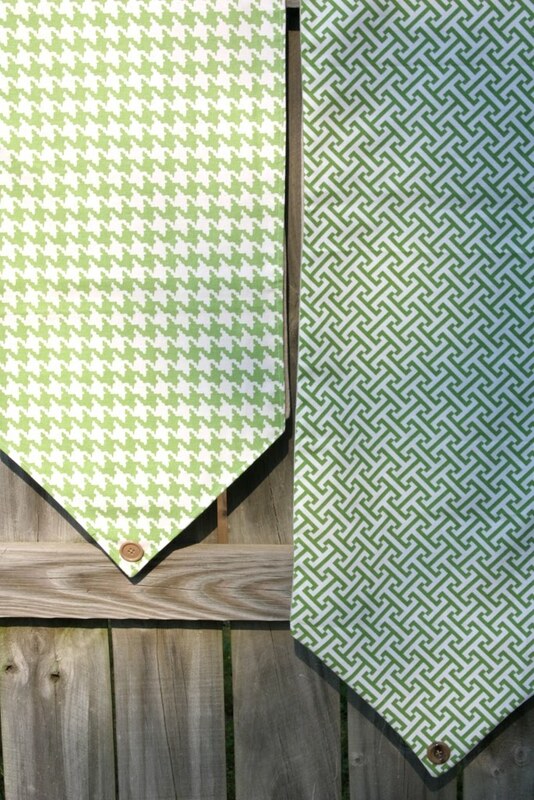 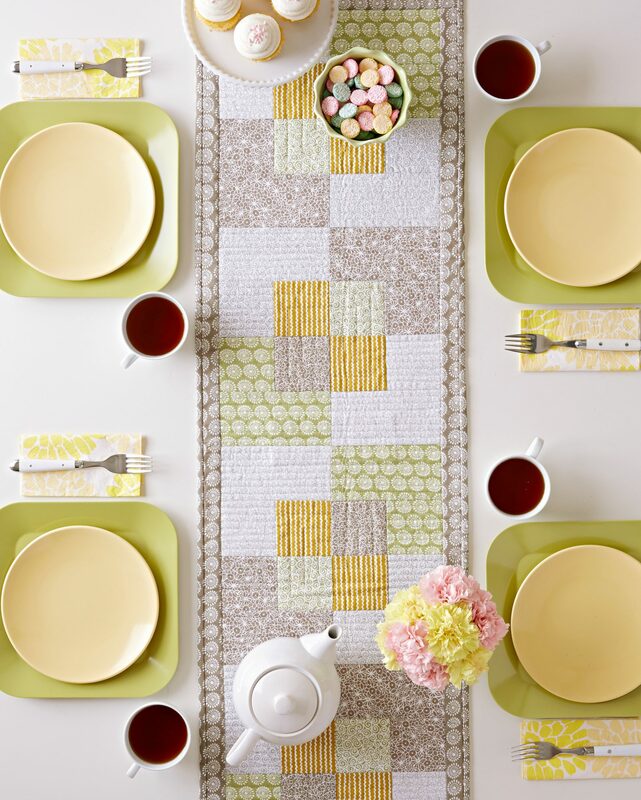 The mosaic block designs give the table runner a modern appearance. 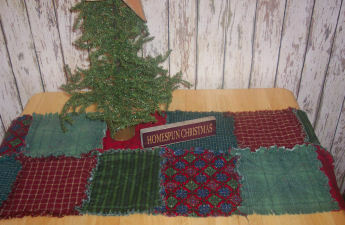 The fusion of different fabrics creates a rustic look. 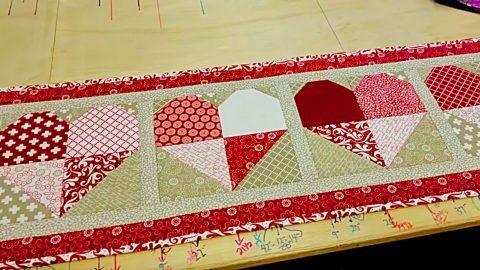 Surprise your DH on Valentine’s Day by serving his favorite dish on this heart-shaped table runner. Mr. Bunny sitting on the colorful table runner brings in the perfect Easter mood. 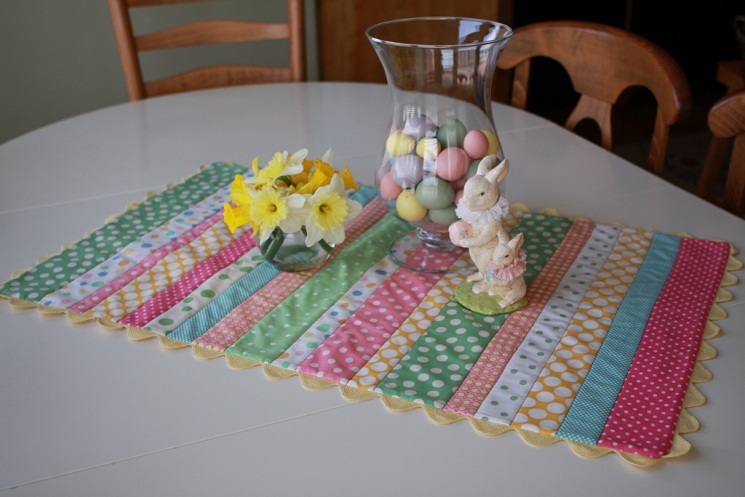 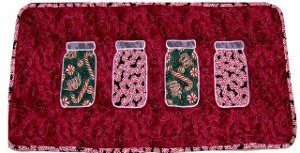 Your kiddo would be enthralled to see the cute candy jars sitting graciously on the table runner. 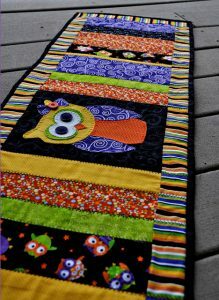 If you have too many pumpkin designed stuff for Halloween, you can choose the owl pattern for the table runner. 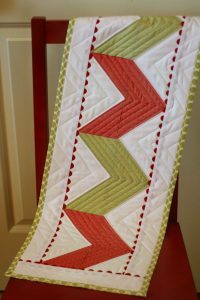 If you have a longish table this zig zag pattern would be an apt choice. 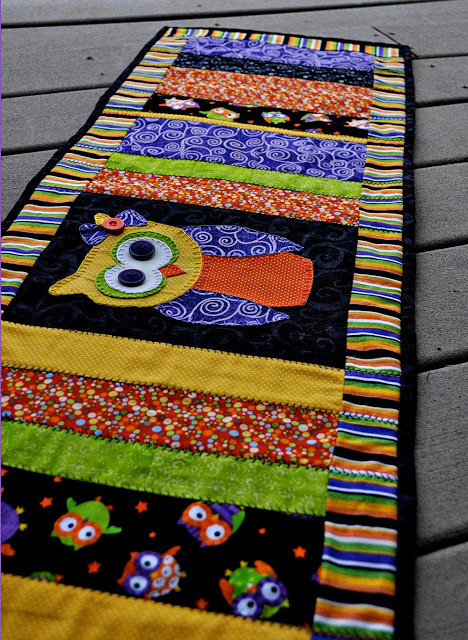 With a basket of interesting designs in your kitty you can make some fabulous table runners to give away as wedding, birthday or baby shower gifts or even to take your home décor to a new level. You can choose a simple design of white and black or even go for complicated patterns. 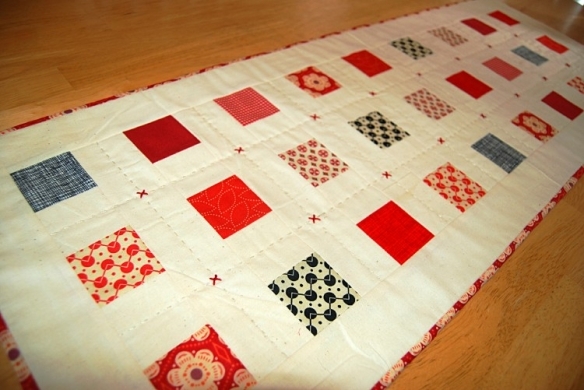 Keep cotton as your preferred fabric because of its durability and easy-to-handle nature. 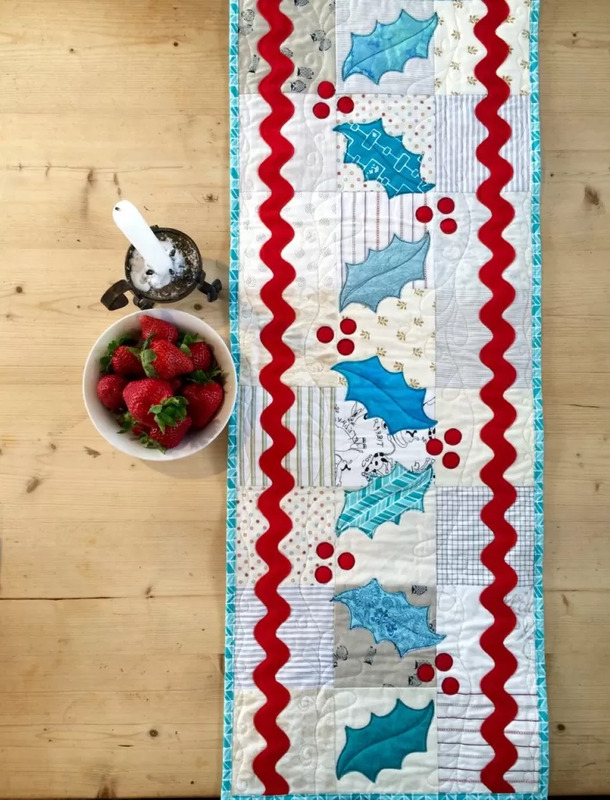 I am so excited about that Quilted Table Runner with Embroidery. Thanks for linking it up.